QSL letter from the Salisbury Broadcasting Station on 17 August 1955 on 6.018 MHz. 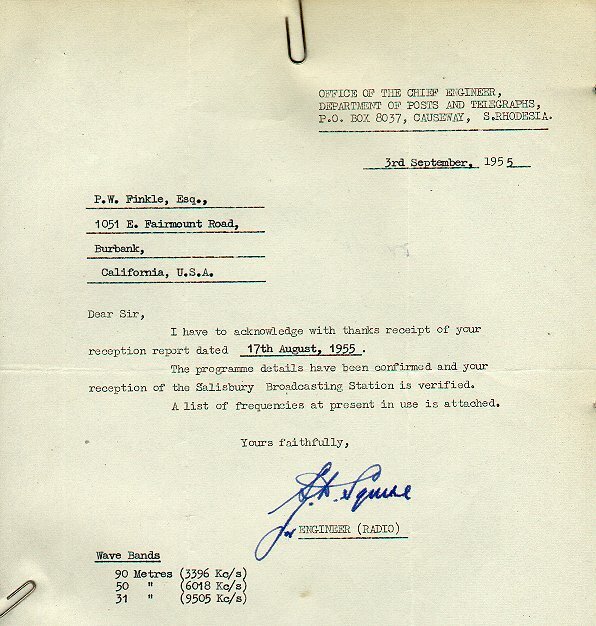 This verification letter is from the Salisbury Broadcasting Station whilst Southern Rhodesia was still a British colony.. This station was well received on the West Coast in the early morning hours via long path.